Kalandra Jane - Millinery and Musings! : Raspberry Cupcakes and a Giveaway! 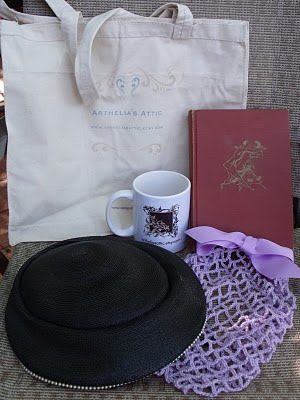 Naomi over at Arthelia's Attic is having a fantastic giveaway of one of her crocheted 1940s snoods, a vintage hat, a tote bag, mug and a copy of her favourite vintage book! She has a lovely Etsy shop and her blog is full of interesting vintage fashion, cooking etc. so do take a peep for details on how to enter the giveaway! 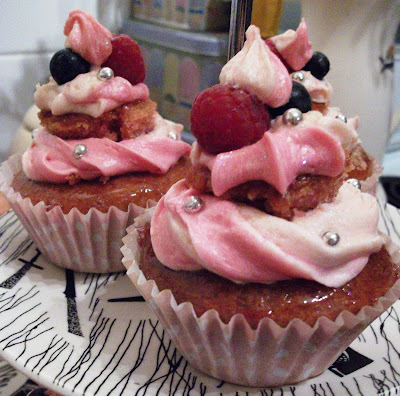 Last week I also had another go at some vegan cupcakes! These were for my friend Steff's birthday, and I devoured the leftovers on Friday night with Aerospace Boyfriend and my friend Laura Lee with some blueberry and pink fizz bellinis! Here they are going into the oven. Lurid! 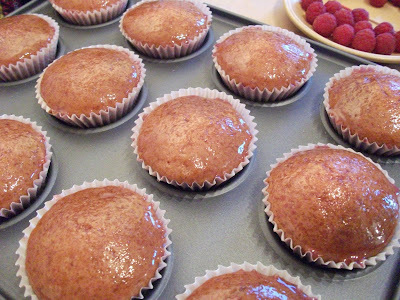 The recipe was the basic vanilla cupcakes from Vegan Cupcakes Take Over The World (link for the book in my previous cupcake post!) 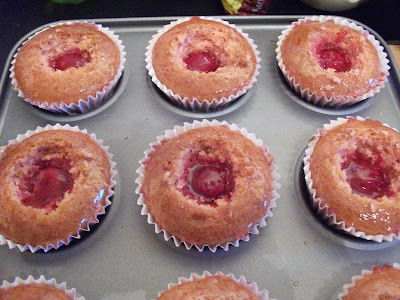 modified with two spoonfuls of raspberry syrup and a drop of pink food colouring. Also, I was right about the cupcake wrappers; here is one of the American-sized ones dwarfing a British fairy cake case. 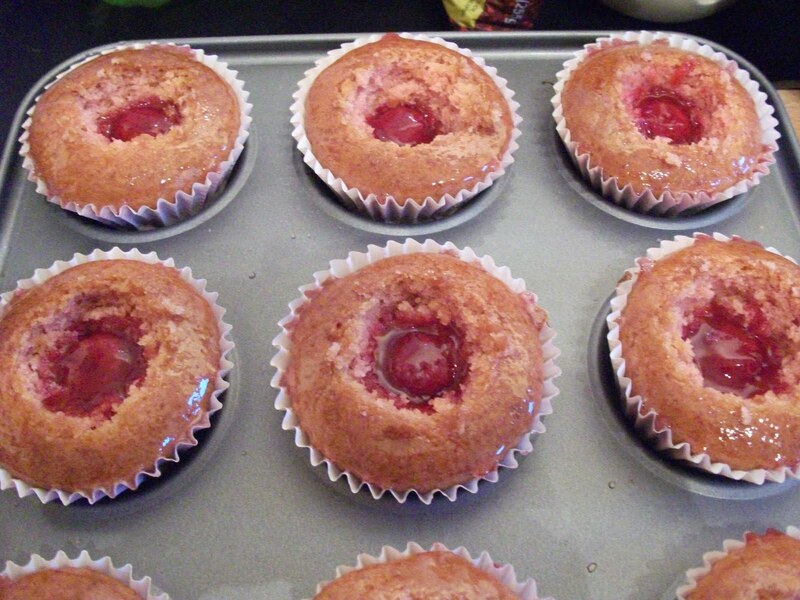 I cut out a cone from the tops, and filled each hollow with a whole fresh raspberry and some raspberry coulis made by sieving fresh raspberries and adding icing sugar and raspberry syrup. Here they are finished! In an obsessive cake-baking shopping frenzy, I purchased two new icing bags and lots of nozzles. This was done using the largest rose-shaped nozzle, with the icing bag filled with two shades of pink rasberry vegan buttercream frosting. 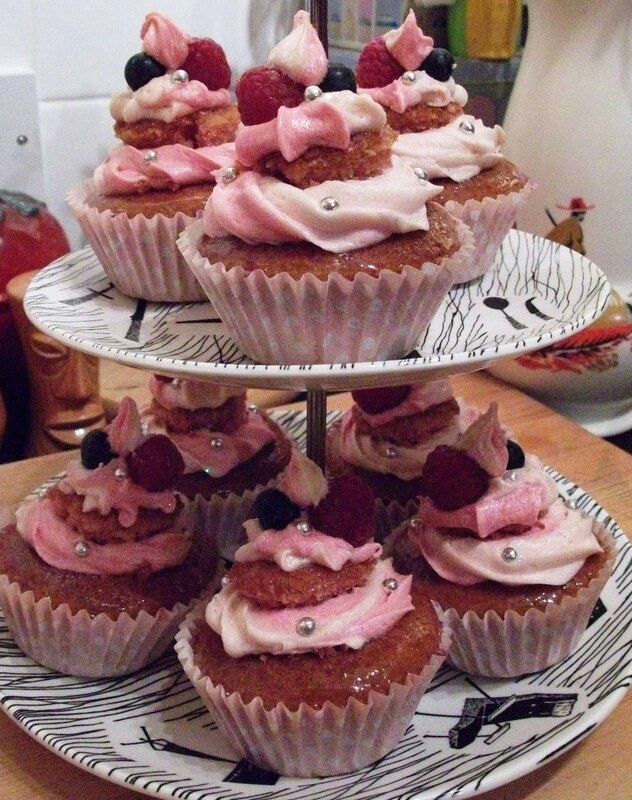 The cakes are topped with silver balls, fresh raspberries and blueberries, and lots of beautiful edible glitter, which unfortunately did not show up at all in the pictures. OH MY GOD. those cupcakes look good. 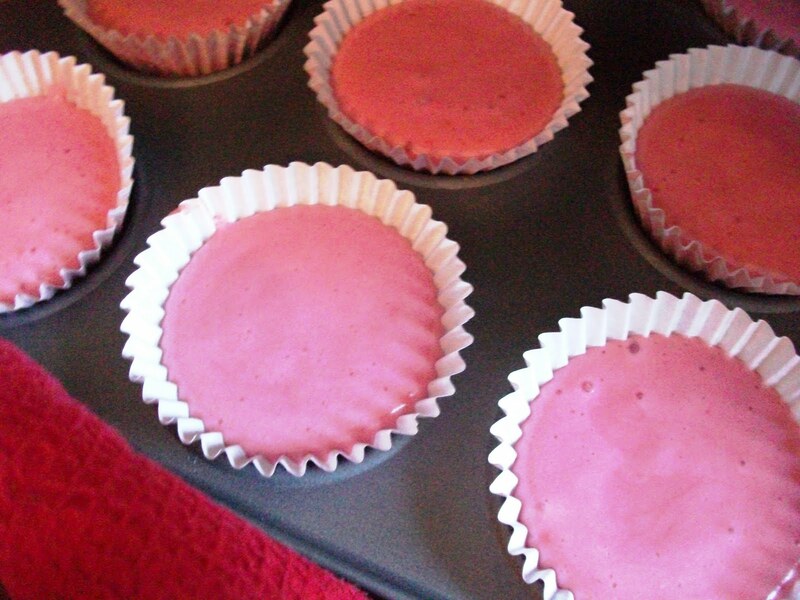 I have been obsessed with Vegan cupcakes take over the world too! And I'm not even Vegan!